To help you make 2013 a huge sartorial success, we recently brought you 50 of the best fashion tips of all time. And now, we turn our attention to beauty. Feast your eyes on 50 of our favourite get-beautiful tips. We scoured the net for every bit of advice we could find, and threw some ideas of our own in for good measure. From basic beauty dos (wear sunscreen every day) to don'ts (avoid popping pimples) as well as obscure secrets (beer and vinegar rinses? ), you'll find advice to keep you as beauty-full as ever. Does your eyeliner constantly crumble while putting it on? Our friends at You Beauty recommend leaving it in the freezer for 15 minutes prior to applying your makeup. It should glide along your lash line seamlessly after that. For curlier, flirtier lashes, the experts at You Beauty recommend heating your lash curler with a hair dryer for five to eight seconds before curling them. The experts at You Beauty recommend massaging an ice cube over your face until it melts. Do it every night before bed and keep fat cells, acne and wrinkles under control. Before applying nail polish, wipe nails with an acetone-based cleanser. Essie Weingarten, founder of Essie Cosmetics, told the pros at Redbook that cleaning excess dirt, oil or moisturizer from your nails will ensure that the polish adheres properly. Follow the rest of these tips at Redbook and your perfectly polished manicure will last for a week and a half. Apparently Pepto-Bismol isn't just a stomach soother, it can also be used as a facial mask. It contains bismuth subsalicylate, which is commonly found in facial creams. In an interview with Reader's Digest, Dr.Frances Jang, a dermatologist at Skinworks, recommended spreading two teaspoons of Pepto-Bismol on your face, then letting it dry for 15 to 30 minutes before rinsing it off with warm water. Wear sunscreen every day, rain or shine. Even when it's cloudy. According to the American Academy of Dermatology, 80 per cent of the sun's ultraviolet rays pass through the clouds. It's easy to forget about your elbows, but they need just as much protection and care as other parts of your body. Cure dry elbows by massaging Bio-Oil onto them daily. You'll see and feel softer elbows in at least two days. In an interview with Reader's Digest, Popie Poulos, hairstylist and owner of The Salon, recommends rinsing your hair with a mixture of chamomile and fresh lemon juice instead of conditioner to permanently lighten your tresses. Allow your hair to dry while sitting in the sun or use a blow dryer — the heat will lighten your locks. In an interview with Reader's Digest, Dr.Frances Jang, a dermatologist at Skinworks recommends using raw potato slices to soothe your eyes. She says they are astringent which means they help decrease water retention and they also contain the enzyme catalase which helps lighten dark under eye circles. First, wash and peel a potato. Cut two slices and place one on each eye for 10 minutes. Lay down, relax and let the potatoes work their magic. Rinse the eye area gently with lukewarm water when you're done. The trick to achieving a chiseled celebrity-like face is to contour (Angelina Jolie cheekbones, anyone?). Your face is three dimensional so applying foundation in a single tone will only make your face appear flat. Add a highlighter to areas of your face that would usually catch light but create enough shadow to emphasize your jaw line and cheekbones. For tips on how to contour your face according to its specific shape, visit Total Beauty. Makeup sponges help you apply make up, but not without a cost. They usually soak up more liquid foundation than what ends up on your face. The result? You're wasting foundation and constantly buying new sponges. The fix? Get a foundation brush. You waste less foundation and it allows for a more even and precise application than a sponge would. Spritz an old toothbrush or a clean mascara wand with hairspray, then brush brows and style them as desired. Even the most hard to tame brows will fall in line with this trick. You've heard it before — don't pop your zits! The folks over at Daily Glow suggest applying a bit of toothpaste to a pimple before bed and washing it off with warm water when you wake up in the morning. They say that toothpastes draws impurities out of clogged pores and dries the skin with shrinks the pimple. Opt for organic toothpastes rather than gel toothpastes which don't work as well. Do you start the morning with matte, fresh-looking skin only to find that by the time 5 p.m. rolls in you're a shiny mess? If you have oily skin then blotting papers are a beauty godsend. Don't use powder to soak up the oil. Using too much periodically throughout the day will make your skin appear cakey because you're just layering makeup on top of more makeup. Opt for blotting papers instead. They will soak up all the oil. We love We love Sephora's blotting papers. If you're out of makeup remover, use body lotion to get rid of makeup. It works especially well on tough mascara. Curl your lashes both before and after applying mascara for longer lashes. You may want to re-curl them throughout the day to get some extra lift, just remember to be gentle when you apply pressure with your curler. No, no, no! Don't pop your zits. Not only does it increase the chance of scarring, it's also likely that you will worsen the blemish and spread bacteria to other places on your face which could give rise to another breakout. If you've just had your hair dyed, the last thing you want is for the colour to fade. One surefire way to prevent such a mishap from happening is to use a deep-conditioning treatment once a month. This will help lock in colour and has the added benefit of staving off dry and damaged locks. Flat irons are amazing tools with multiple uses. Not only can you use it to straighten your hair, you can also create tight curls or soft romantic waves. Who doesn't love a spa day? If we could go every day, we probably would, but that would also put a dent in our wallets. A quick, easy and cheaper indulgence is to put your favourite lotion in the microwave for about 10 seconds. Make sure the oils in your lotion don't separate and that it isn't too hot. Apply it on to your skin and enjoy! When choosing a foundation, test a product on the skin near your jawline. And be sure to do it in natural light. This will ensure the foundation tone you choose for your face isn't too different from the natural shade of your neck. We really love Makeup Forever's Invisible Cover HD Foundation because it comes in so many shades. Don't throw away your old mascara wand, it's still got a few uses left. Clean it and use it as a brow brush instead. You might even find it handy around the house — use it to unclog sinks or clean tough to reach areas in your home. What's worse than having to wear a skirt with absolutely no time to shave your legs? We've all been there. The hassle free fix for this is to wearing pantyhose or tights (try a patterned pair for something new). It will disguise stubble as well as any blemishes on your stems. If you want to camouflage some strands of grey hair on the go, the folks at Real Simple suggest using mascara if you have dark hair. For blondes or redheads try dusting your roots with bronzing powder. We absolutely love dry shampoo, especially Klorane (we use this brand religiously). It absorbs excess oil on your strands and scalp and keeps your mane looking clean and fresh. If you don't have dry shampoo, try washing just the top of your head (or wherever there is oil), with regular shampoo followed by a quick blow dry. Your tresses will look as good as new. Be beautiful and environmentally savvy while you're at it. Recycle your old beauty products by shipping them to Terra Cycle (you can download their pre-paid UPS shipping packages online so it's completely free). They'll take your old beauty products and transform them into something new. The experts at Beauty Is My Duty say that you should never pump your mascara (i.e., moving the wand up and down in the tube really quickly) because it will only allow air into the tube which will cause your mascara to dry (and ultimately shorten its lifespan). There are only two options for your nails — with nail polish or without. Do not allow your nails to be caught somewhere in the middle (there is nothing worse than nails donning chipped red nail polish). Even if you think no one else will notice, trust us, someone will. Sometimes less is more. Don't slather your face with moisturizer because it will take 10 minutes or more to be absorbed by the skin before your face is ready for makeup. In an interview with Real Simple, Susan Evans, a dermatologist, said the best way to apply face cream is to blend a dime-sized amount on your cheeks, nose, chin and forehead instead of moisturizing heavily. Make sure you clean your makeup brushes regularly to avoid a buildup of makeup residue and bacteria. 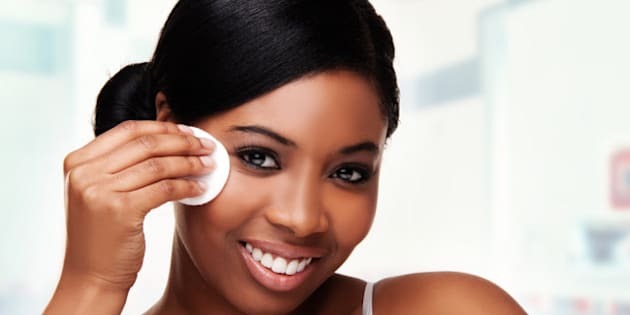 You can purchase makeup brush cleaner from a drug or beauty store, or you can simply use shampoo and conditioner to clean your brushes as you would your own hair. Clean brushes guarantee a super smooth and even makeup application every time. Apply a product containing azulene or witch hazel to help reduce the swelling and redness that's associated with ingrown hairs. From there, coax the ingrown hair from its location with a pair of tweezers (don't pull it out, though — this will only make the ingrown hair regrow in in the same way later). Don't rub your hair dry with your towel; it will cause your hair to frizz. Instead, before getting out of the shower gently squeeze excess water from your hair. Then, wrap your hair in a towel and pat it dry to absorb any remaining moisture. Do you really need all those supplements? It's true the healthier you are, the healthier your skin and hair will be. But popping supplements without discussing them with your doctor can do more harm than good. Why? Because mixing certain vitamins and minerals can have the opposite effect of what you're hoping. Talk to your physician before popping any pills. Don't douse yourself with perfume before you leave the house (you don't want to bombard other people's nostril with strong smells). Just because you can't smell it doesn't mean other people won't be able to. If you wear it every day, chances are your olfactory sense has just become desensitized to the scent. Only spray or dab perfume on select spots like your knees, wrists, base of throat, and behind your earlobes. Add a top coat to freshly painted nails, and then again once they are dry. This makes your nail polish less likely to chip and will ensure it lasts longer. Our best beauty tip? Smile! It's the most beautiful asset you have. Where it every day.